People love to use emoji in social network: facebook, twitter or instant message. 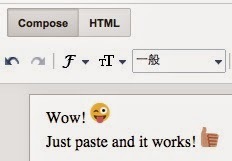 Now you can use these emoticons in blog post. All images were hosted by free CDN hosting.